How to set up pen drive as RAM? If you have 512 MB of RAM or even if it is just 1GB then this post is especially for you. If you are with less RAM then you might be facing the slow speed your computer with much load time and other such factors. But you can increase your RAM not by adding another RAM slot to your motherboard but simply using your pen drive. In this way, you can easily increase your RAM and turn your computer into a super computer with high speed with no more slow load up's. 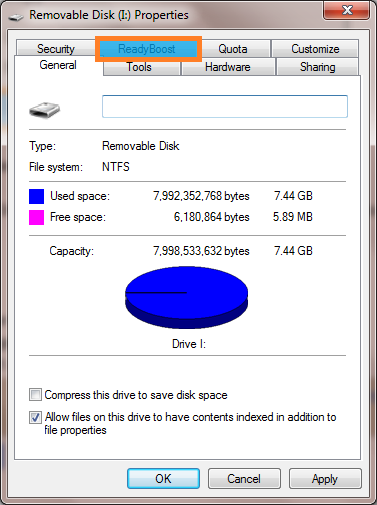 Step 1: Format your pen drive with NTFS or FAT file system. 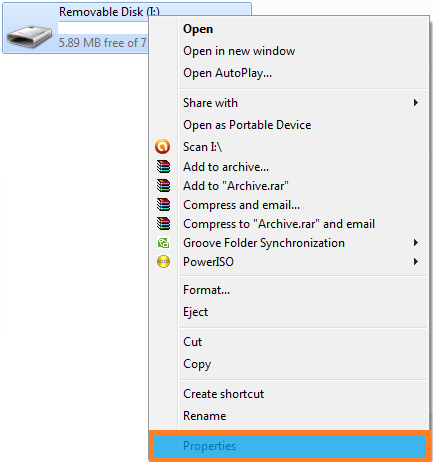 Step 2: Now right click on your pen drive icon with the caption as "Removable Disc" under My Computer and select "Properties". Step 3: In properties window, select "ReadyBoost" tab. 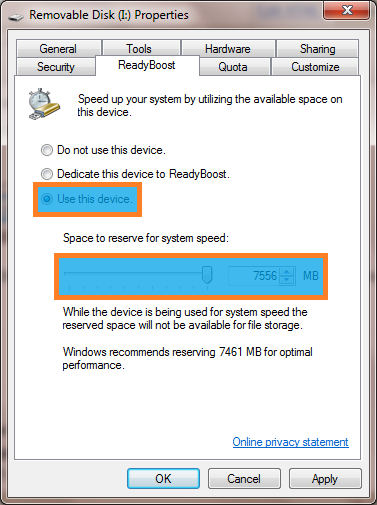 Step 4: Under ReadyBoost tab, Select "Use This Device" option and use the highest space to reserve for system speed. Step 5: Click "Apply" and then "OK". Now you can find that your pen drive icon is shown full. You are done. Now do not take out your pen drive from CPU and use it for any other purpose unless you have formatted it again using NTFS or FAT file system. Always format your pen drive before and after using it as RAM with ReadyBoost option in windows.